If you’re looking for a high entertainment value per byte of code, [Nardax] has you covered with his wearable spellcasting controller. With not much effort, he has built a very fun looking device, proving what we’ve always known: a little interaction can go a long way. [Nardax] originally intended his glorified elbow-mount potentiometer to be a fireworks controller. Ironically, he’s now using it to throw virtual fireballs instead. Depending on the angle at which he holds his elbow before releasing it, he can cast different spells in the game World of Warcraft. We’re not at all sure that it helps his gameplay, but we’re absolutely sure that it’s more fun that simply mashing different keys. There’s a lot of room for expansion here, but the question is how far you push it. Sometimes the simplest ideas are the best. It looks like [Nardax] is enjoying his product-testing research, though, so we’ll keep our eyes out for the next iterations of this project. We’ve seen a number of high-tech competitors to the good old power glove, and although some are a lot more sophisticated than a potentiometer strapped to the elbow, this project made us smile. Sometimes, it’s not just how much tech you’ve got, but how you use it. After all, a DDS pad is just a collection of switches under a rug. [Nicolas Berger] submits his six degree of freedom mouse project. He hopes to do things like control a robot arm or fly an alien mothership. We thought the construction was really neat; suspending a wooden ball in the middle of three retractable key rings. By moving the ball around you can control the motion of a cube displayed on the computer. We first thought this was done by encoders or potentiometers measuring the amount of string coming out of the key fobs. However, what’s actually happening is a little bit cleverer. [Nicolas] has joined each string with its own 2 axis joystick from Adafruit. He had some issues with these at first because the potentiometers in the joysticks weren’t linear, but he replaced them with a different module and got the expected output. 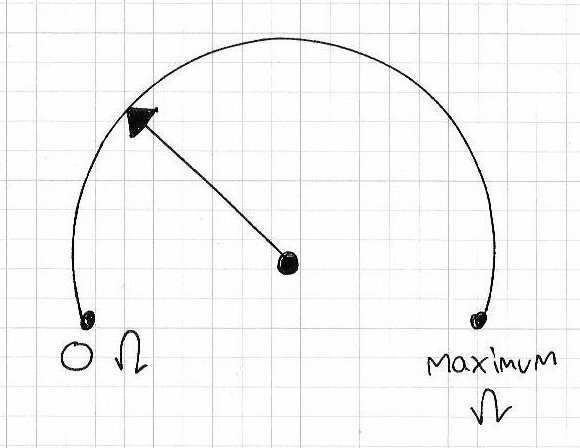 He takes the angle values from each string, and a Python program numerically translates the output from the mouse into something the computer likes. The code is available on his GitHub. A video of the completed mouse is after the break. [Gr4yhound] has been rocking out on his recently completed synth guitar. The guitar was built mostly from scratch using an Arduino, some harvested drum pads, and some ribbon potentiometers. The video below shows that not only does it sound good, but [Gr4yhound] obviously knows how to play it. The physical portion of the build consists of two main components. The body of the guitar is made from a chunk of pine that was routed out by [Gr4yhound’s] own home-made CNC. Three circles were routed out to make room for the harvested Yamaha drum pads, some wiring, and a joystick shield. The other main component is the guitar neck. This was actually a Squire Affinity Strat neck with the frets removed. For the electronics, [Gr4yhound] has released a series of schematics on Imgur. Three SoftPot membrane potentiometers were added to the neck to simulate strings. This setup allows [Gr4yhound] to adjust the finger position after the note has already been started. This results in a sliding sound that you can’t easily emulate on a keyboard. The three drum pads act as touch sensors for each of the three strings. [Gr4yhound] is able to play each string simultaneously, forming harmonies. 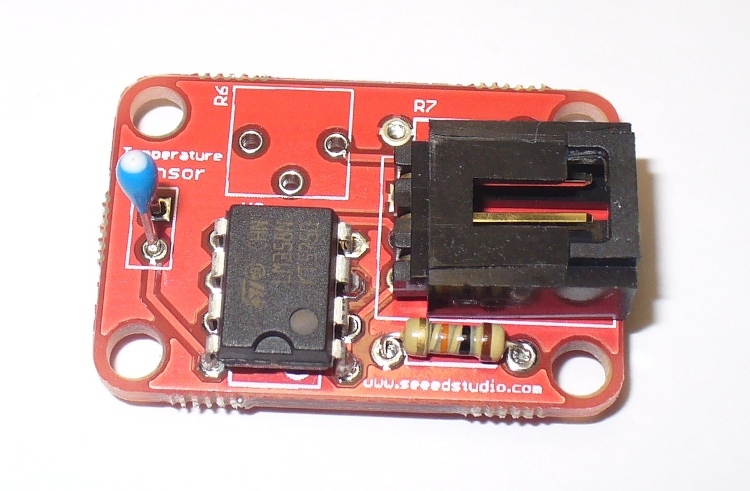 The joystick shield allows [Gr4yhound] to add additional effects to the overall sound. In one of his demo videos you can see him using the joystick to add an effect. An Arduino Micro acts as the primary controller and transmits the musical notes as MIDI commands. [Gr4yhound] is using a commercial MIDI to USB converter in order to play the music on a computer. The converter also allows him to power the Arduino via USB, eliminating the need for batteries. There are a lot of different shields out there for Arduino. However, sometimes there arises a need to make your own. 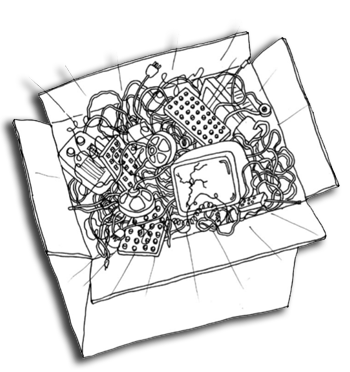 Even more plentiful in the world of electronics are integrated circuits that do a lot of nifty things. Some control output, some input, and some are sensors. In this edition of Projects with Ryan Slaugh I show you how to make your own custom proto shield. Today we continue with the series of articles on basic electronics with this introductory article about the resistor. 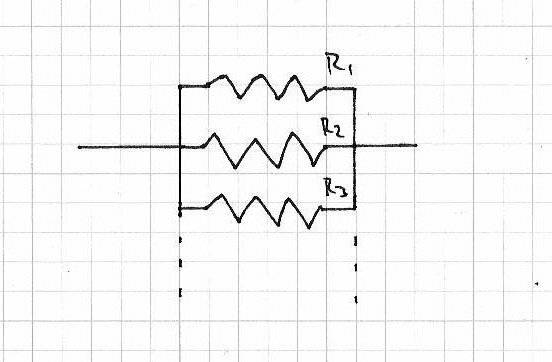 What is a resistor? It is a component that can resist or limit the flow of current. 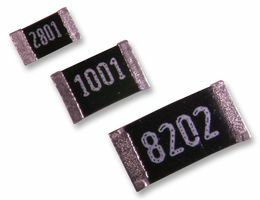 Apart from resistors, other electronic components also exhibit an amount of resistance, however the precise amount can vary. The unit of measure of resistance is the Ohm (Ω), and named after the clever German physicist Georg Simon Ohm. He discovered that there was a relationship between voltage (the amount force that would drive a current between two points), current (the rate of flow of an electric charge) and resistance (the measure of opposition to a current) – what we know as Ohm’s law – which states that the current between two points in a conductor is directly proportional to the potential difference (voltage) between the two points, and inversely proportional to the resistance between them. Or, current = voltage / resistance. You should remember that formula, it can be useful now and again. They are much larger, this example is 25mm long and 8mm in thickness. 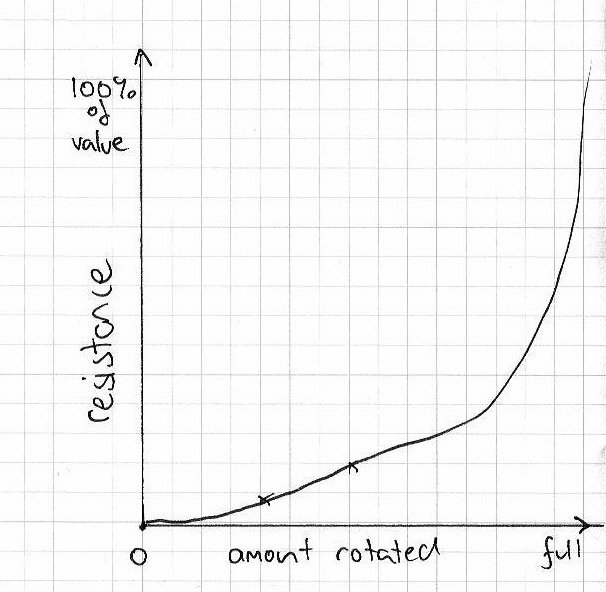 The size of a resistor is generally proportional to its power handling ability. Do you see the coloured bands around the resistor? They are colour codes, a way of indicating the resistance and tolerance values. And for colour-challenged electronics enthusiasts, a royal PITA. 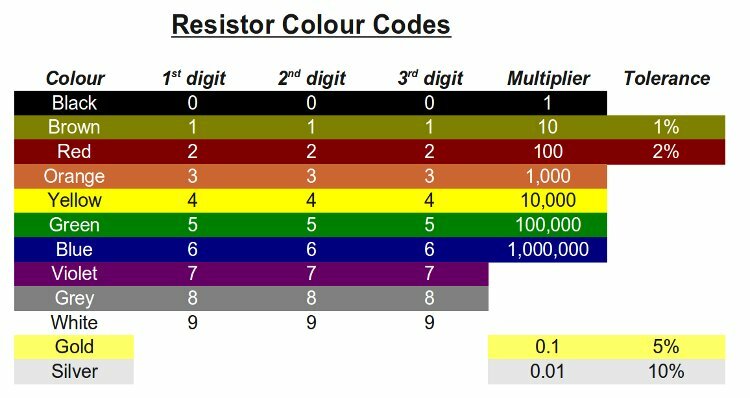 Resistor values can vary, from zero ohms (technically not a resistor… but they do exist for a good reason***) up to thousands of millions (giga-) of ohms. So the bands are: green, blue, black, black, tolerance – 5, 6, 0 = 560, then 1 for multipler = 560 ohms. The carbon-film resistor (top) has a gold tolerance band – 5%, the others being metal film are brown for 1%. This is why it is much easier to have a nice auto-ranging multimeter. 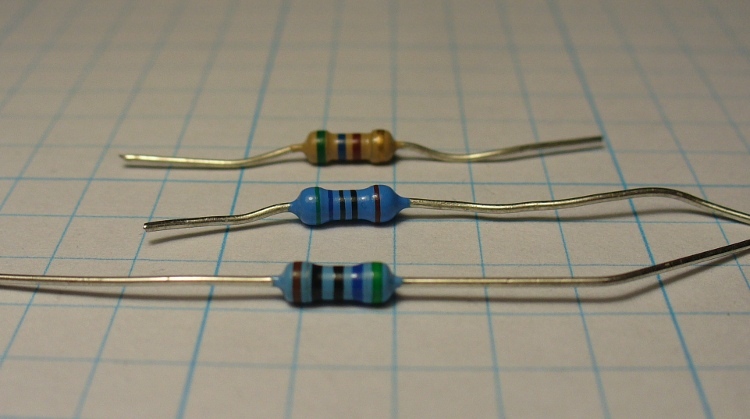 There are literally scores of varieties of resistors in this physical category. 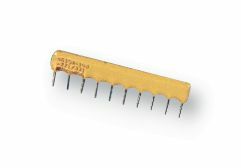 If you don’t have the time or penchant to visit an electronics store, browse around online catalogues with images such as Digikey, Farnell/Newark (USA), Mouser, etc. These are the becoming the norm as technology marches on. Even electronics hobbyists are starting to work with them. They consist of two metal ends which make contact with the circuit board, and a middle section which determines the resistance. They are tiny! The smallest being 0.6 x 0.3 mm in size. The smaller sizes may not have markings, so you need to carefully keep track of them. 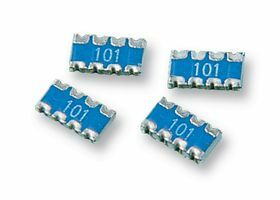 As expected there are many types of variable resistors, from the tiny to the large. Just like fixed-value resistors you need to ensure the power-handling (watts value) is sufficient for your project. The two on the left are not sealed, exposed to dust and other impurities that can interfere with them. The two on the right are enclosed, and have a smoother feel when adjusting, and are generally preferable. These trimpots are single-turn, which can make getting finite adjustments in high-value resistances rather difficult. However you can purchase multi-turn trimpots allowing you greater detail in adjustment. Trimpots are usually labelled very well, depending on the manufacturer. For example, the black one above is 10k ohm, easy. Some will have a numerically coded version. Such as the one on the right. It is labelled 501, which means 50 ohms with 1 zero after it, so it is 500 ohms. Another example is 254, that is 25 with four zeros, i.e. 250000 ohms or 25 kilo ohm. Next up are potentiometers – the garden variety variable resistor. 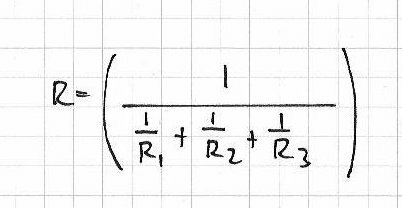 When identifying your variable resistor, units marked with ‘A’ next to the value are logarithmic, and ‘B’ are linear. 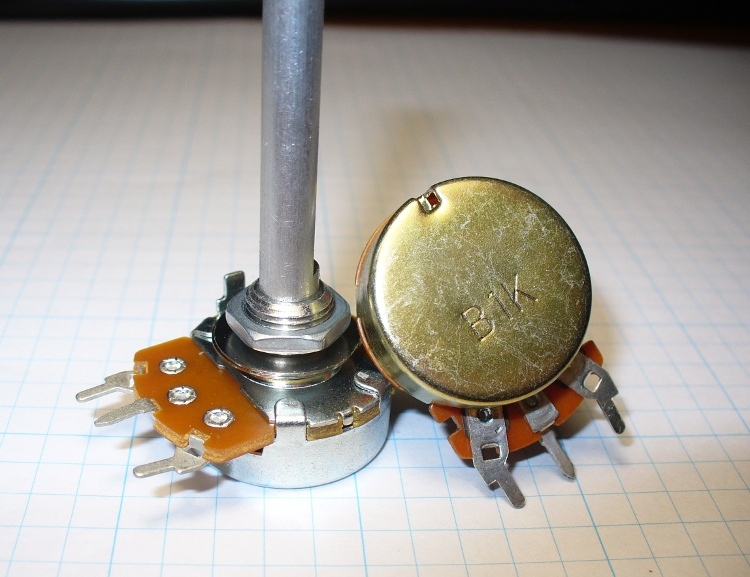 For example, B10k is a 10 kilo ohm linear potentiometer. These types are also available as doubles, so you can adjust two resistances at the same time – ideal for stereo volume controls. If you are going to build a project with these and mount them into a case, be sure to check that the knobs you want to use match the shaft diameter of the potentiometer before you finalise your design. These can be a lot of fun. In total darkness their resistance value is quite high, around 1 mega ohm, but in normal light drops to around 17 kilo ohm (check your data sheet). They are quite small, the head being around 8mm in diameter. Great for determing day or night time, logging sunrise and sunset durations, or making something that buzzes only in the dark like a cricket. 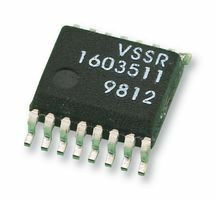 Imagine a tiny integrated circuit that contained hundreds of resistors in series, and could have the resistance selected by serial digital control. These are usually classified by the total resistance, the number of potentiometers in the chip, the number of divisions of the total resistance offered, and the volatility of the wiper. That is, when the power is turned off, does it remember where the wiper was upon reboot, or reset to a default position. 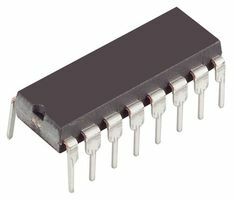 For example, Maxim IC have a range of these here. There are positive and negative thermistors, which increase or decrease their resistance relative to the temperature. 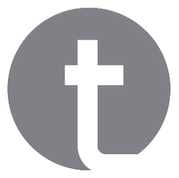 Within the scope of this website, thermistors are not an idea solution to measure temperature with our microcontrollers, it is easier to use something like an Analog Devices TMP36. 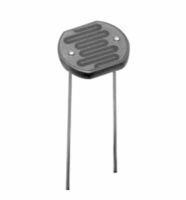 However, in general analogue situations thermistors are used widely. 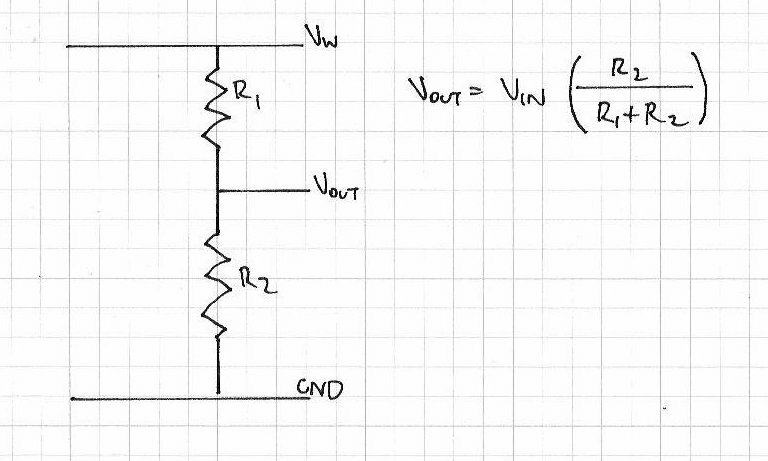 Working with resistors is easy, however some planning is required. One of the most popular uses is to reduce current to protect another component. For example, an LED. Say you have an LED that has a forward voltage of 2 volts, draws 20 mA of current, and you have a 5V supply. What resistor value will you use? So, resistance = (5-2)/0.02 = 150 ohms. Using resistors in parallel is a little trickier. You might do this to share the power across several resistors, or to make a value that you can’t have with a single resistor. 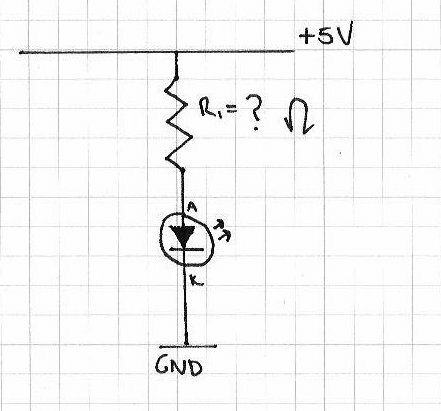 If you cannot reduce your voltage with a zener diode, another method is voltage division with resistors. Simple, yet effective. Always check that the resistors you are using are of a suitable power handling type. Remember that W = V x A (power in watts = volts x current in amps)! Well that wraps up my introduction to resistors. As always, thank you for reading and I look forward to your comments and so on. 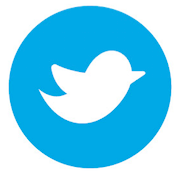 Please subscribe using one of the methods at the top-right of this web page to receive updates on new posts. Or join our new Google Group. 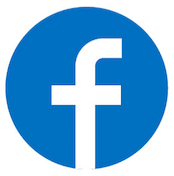 Some information for this post is from: historical info from Wikipedia; various technical information from books by Forrest Mims III, “Electronics Demystified” by Stan Gibilisco; ceramic, array, LDR and SMD resistor photos from Farnell Australia. *** Email me with your interpretation of why zero-ohm resistors exist and enter the draw for a random prize from my component stock! Answers must be in by 14th June 2010, 1200h Australian EST. You are currently browsing the archives for the potentiometer category.